"How Would You Like The Thought of Knowing 21 Different Methods of Generating Cash Anytime You'd Like?..." Using These 21 Methods, You'll Be Able To Raise Cash Quickly For An Emergency or Simply To Add More To Your Bottom Line! Dear Friend, Don't you get anxious about not being able to keep up with the enormous bills, especially when a sudden tax bill appears out of no where? In these uncertain economic times, you just don't know what might happen. Just like most average households you probably have a mortgage to pay off and you need to support your family and yourself. One day you might get laid off from your job, or your business simply isn't generating any sales. What would you do if you were in this situation? I Know How You Feel... I was in a situation of desperation. I had been hit by a big tax bill from the tax office. It looked impossible to pay off considering I had a mortgage to pay off, a car to pay off, and basic living expenses. I didn't want to sell my home or my car... Hours and Hours of Research... That day I received the big tax bill, I just sat there looking at the bill, and was in a depressed state. I didn't know what to do, who to talk to, and how to overcome this crisis. So later that night, I finally did something about it. Instead of dwelling on the problem I looked for a solution to be able to raise cash whenever I wanted, and doing it without having to sacrifice an arm and a leg. 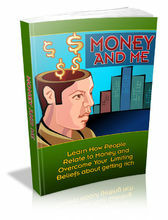 I immediately researched for hours and hours on ways to make money online and offline. And so I compiled 21 methods that had worked for me, so you can save time doing all the research and start raising cash today. 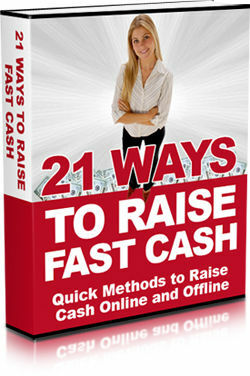 Introducing... '21 Ways To Raise Fast Cash' * Special Report * I've written a special report for you where I share 21 different ways to generate cash whenever you wanted. Do note that just like with anything and everything, these methods require your effort. It comes from the saying: "You reap what you sow". 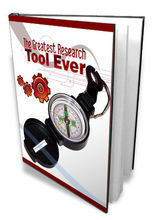 I've found 21 methods that work, and it is in your hands to take action on the information provided in this report. Inside this special report you'll discover: A powerful way to get a surge of cash to your bank account. This method has been used in traditional brick and mortar business, and Internet marketers have been using it to make five to six figures by doing this. Services you can offer and make money right now. 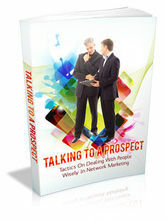 I'll show you the best websites to go to where people desperately need you. A unique little way to advertise any product or service that most people overlook. A surefire way allowing you to promote any product or service without breaking the bank. The two best websites to sell your _______ ______ and make cash by the end of the week. How to create your own information product quickly & easily and sell it by the end of the day. An easy service you can provide to almost any webmaster -- and you don't even need any special skills. How to raise cash by providing Internet marketing services to local businesses. 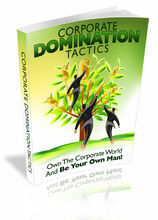 This method is not just quick, but it's also a great method for long term business. How to get paid now by helping others. These websites lists hundreds of people desperately wanting your help. How to use MySpace to raise cash today, and what to sell. How to make money quickly by selling "custom content mini-sites" Do you have an established business already? Here's a way to raise cash that most business owners don't think of. + much, much more! Get Instant Access To This Special Report... You could go around doing all the research yourself, try out different methods that don't work, and waste all that time, or you could simply invest in this special report where I provide 21 methods that will help you raise cash, fast. It's your choice. Your investment today for this special report is just $17.00 ! 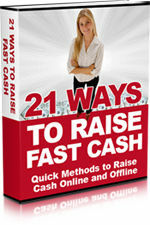 That's a steal of a deal, considering you'll discover 21 ways to raise cash anytime you want. Even if you know one or two of these methods, there's 19 methods you can make use of. I'm not gonna try to "persuade" you to buy this report. It's seventeen bucks. Even if you find a few new ideas, it's easily worth more than this report. You'll probably spend more on unhealthy junk food. "How Would You Like The Thought of Knowing 21 Different Methods of Generating Cash Anytime You'd Like?..." Add More To Your Bottom Line! Don't you get anxious about not being able to keep up with the enormous bills, especially when a sudden tax bill appears out of no where? In these uncertain economic times, you just don't know what might happen. Just like most average households you probably have a mortgage to pay off and you need to support your family and yourself. One day you might get laid off from your job, or your business simply isn't generating any sales. I was in a situation of desperation. I had been hit by a big tax bill from the tax office. It looked impossible to pay off considering I had a mortgage to pay off, a car to pay off, and basic living expenses. That day I received the big tax bill, I just sat there looking at the bill, and was in a depressed state. I didn't know what to do, who to talk to, and how to overcome this crisis. So later that night, I finally did something about it. Instead of dwelling on the problem I looked for a solution to be able to raise cash whenever I wanted, and doing it without having to sacrifice an arm and a leg. 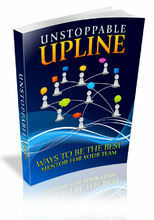 I immediately researched for hours and hours on ways to make money online and offline. And so I compiled 21 methods that had worked for me, so you can save time doing all the research and start raising cash today. I've written a special report for you where I share 21 different ways to generate cash whenever you wanted. Do note that just like with anything and everything, these methods require your effort. It comes from the saying: "You reap what you sow". 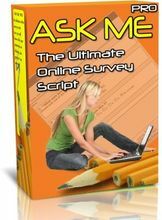 I've found 21 methods that work, and it is in your hands to take action on the information provided in this report. A powerful way to get a surge of cash to your bank account. This method has been used in traditional brick and mortar business, and Internet marketers have been using it to make five to six figures by doing this. Services you can offer and make money right now. I'll show you the best websites to go to where people desperately need you. A unique little way to advertise any product or service that most people overlook. 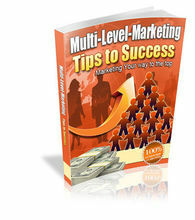 A surefire way allowing you to promote any product or service without breaking the bank. The two best websites to sell your _______ ______ and make cash by the end of the week. How to create your own information product quickly & easily and sell it by the end of the day. An easy service you can provide to almost any webmaster -- and you don't even need any special skills. How to raise cash by providing Internet marketing services to local businesses. This method is not just quick, but it's also a great method for long term business. How to get paid now by helping others. These websites lists hundreds of people desperately wanting your help. How to use MySpace to raise cash today, and what to sell. How to make money quickly by selling "custom content mini-sites"
Do you have an established business already? Here's a way to raise cash that most business owners don't think of. You could go around doing all the research yourself, try out different methods that don't work, and waste all that time, or you could simply invest in this special report where I provide 21 methods that will help you raise cash, fast. Your investment today for this special report is just $17.00 ! That's a steal of a deal, considering you'll discover 21 ways to raise cash anytime you want. Even if you know one or two of these methods, there's 19 methods you can make use of. I'm not gonna try to "persuade" you to buy this report. It's seventeen bucks. Even if you find a few new ideas, it's easily worth more than this report. You'll probably spend more on unhealthy junk food.